The letter was undated. Elena Dagrada, in the book under review, thinks it was written in spring 1947, when Paisà had been seen in previews but not commercially. Other writers put it in 1948 after the film’s successful commercial release (1). The date of writing is not crucial, since it appears to have been mislaid and did not actually reach Rossellini for some time. When he finally got it, he replied with alacrity. He flew to America, where he met not only Bergman but David O. Selznick, and within months plans were laid for the film that became Stromboli (1950), to be shot in Italy as an independent production but with backing from RKO. Not only did Rossellini sign Bergman for his project, he also fell in love with her. Their affair may have started in America but it only became public knowledge – and public scandal – a year later when director and star were snapped by a photographer holding hands at Amalfi near Naples. The scandal was greatest in America, where Bergman was excoriated for leaving her long-suffering (but also, it would seem, rather insufferable) husband Petter Lindström. In Italy it was less acute, but much sympathy was felt for Anna Magnani, with whom Rossellini had been in a long-standing relationship. The real-life scandal had its echo in the film, in which Bergman plays a Lithuanian refugee who marries an Italian to escape from a displaced persons camp. He takes her to his native island of Stromboli, where she is miserable and tries to escape across the barren slopes of the volcano. At the best of times a wife leaving her husband without either repenting or being punished for her action was a dicey subject in Production Code terms. For the heroine to be played by the adulteress Ingrid Bergman at the behest of a director who was her lover was intolerable. To save appearances as best they could, RKO re-edited the film, cutting about 25 minutes and changing the ending to make it look as if the heroine has had second thoughts about her desertion. After Stromboli, Rossellini went on to make more films with Bergman, now his wife. In order of reputation, these are: Viaggio in Italia, usually known in English as Journey to Italy but sometimes, incorrectly, as Voyage to Italy, and released in 1954; Europa ’51 (1952), alias Europe ’51; Angst (1955), or La paura, known in English as Fear; Giovanna d’Arco al rogo (1952), derived from Paul Claudel’s oratorio Jeanne d’Arc au bûcher; and an episode from the 1953 compilation film Siamo donne, alias We, the Women, which bears the self-explanatory title “Ingrid Bergman”, except in the USA where it was called “The Chicken”. By the time of the making of Viaggio in Italia, Rossellini and Bergman’s marriage was under strain and in 1957, during the preparation of his film India, matri bhumi (1959), Rossellini left her for Sonali Senroy Das Gupta. These are the basic facts as found in the history books, even in those which are usually reticent in purveying gossip about artists’ private lives. The story is interesting for a variety of reasons. The Stromboli saga raises fascinating questions about the relationship of European and American values and the curious interplay of moral conceptions when real life and screen image combine or clash. The whole story is exemplary as a study of the problems of international film production and distribution to audiences with different expectations. And the films in question are important in any aesthetic history of film, Viaggio in Italia particularly so. Now widely regarded as the culminating masterpiece of Italian neo-realism, it was at the time a critical and box-office flop, finding defenders only among a tiny handful of French writers around the magazine Cahiers du cinéma. These defenders, however, included André Bazin and the future New Wave filmmakers Jacques Rivette, François Truffaut, Eric Rohmer and Jean-Luc Godard. The rest is history, or, more properly, legend. The facts as generally reported are fuller in relation to the personal story of Ingrid and Roberto than they are when it comes to the films themselves. 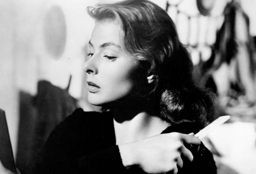 It is generally assumed that the main Rossellini–Bergman features exist in two or at most three versions. For Stromboli there is a full version, with either English or Italian soundtrack, and a cut-down American version. For Europa ’51 there is an English and an Italian version, and likewise for Viaggio in Italia. Angst is known to have been shot in German and then dubbed (with some plot changes) into Italian and English. Some additional information is to be found in Adriano Aprà and Sarah Lutton’s filmography, but it mainly references cuts made for different markets in what are presumed to be unique originals (2). The true situation, however, is far more complicated than is generally reported, or than one might reasonably expect to imagine. Rossellini did not merely shoot a film, edit it to a plan envisaged in the script, supervise the making of an English (post-synchronised) and an Italian (dubbed) soundtrack (3), and then sit back until the distributors came back to him demanding cuts. On the contrary he never stopped tampering with his films. He shot material which could be used in different edits, re-shot what was basically the same scene but with variations or in more than one language, tampered with the soundtrack when re-editing for particular markets and on occasion shot new material for a re-edited version. Elena Dagrada has performed an extraordinary service to film scholarship in tracking down all extant versions of the Rossellini–Bergman films, together with documents relevant to their making, re-editing and reception, and carrying out a minute transcription and analysis of the different resulting versions. It emerges from her study not only that there were more versions of the films than is generally recognised, but that the differences between versions regularly involved the insertion of different material, and not just cuts to make the film shorter. In the majority of cases it was the director himself who prepared the revised versions, though there are some cases of simple distributors’ cuts and the re-editing of Stromboli by RKO was, of course, against the director’s wishes. In the case of Stromboli there were three versions. This is known, and stated in summary in Aprà’s filmography, though until now the versions have not been rigorously compared. There was an original “international version”, 106 minutes long, with dialogues mainly in English. There was the RKO version, also in English, but much shorter at 81 minutes. And there was an Italian release version, with dialogues in Italian and a number of minor but subtle changes and cuts bringing it down to 100 minutes. The most important change in the RKO version came at the end, where her disjointed and very moving monologue (“I’ll save him … my innocent child. …God, my God, help me … give me the strength … the understanding … and the courage”) was replaced with music and a bland impersonal voice-over informing the audience of Karin’s intention to return to her village. But there were also numerous changes and cuts all the way through which soften the film in every respect in preparation for the virtuous ending. Karin is made less dangerous and the effect of her suspected adultery in the primitive island community is underplayed. The documentary portrayal of the harsh physical and social environment is also smudged. The “mattanza”, or slaughter of the tuna fish, is retained, but the terrible sound of the flailing fish in their death throes is faded out and replaced by music, diminishing both the scene itself and Karin’s horror at it (4). Not only does the music cover everything with goo, but (a fascinating detail) straight cuts are regularly replaced by lap-dissolves, further smoothing out the roughness of the original and bringing it into line with the conventions of American melodrama. The changes made in the film between the first showing of the international version at the Venice Festival and its general release in Italy were less drastic but nevertheless significant. It was clear that Rossellini was anxious about the reception of the film in Catholic circles. He re-titled the film Stromboli terra di Dio – “Stromboli, land of God” – and removed the name of his priestly adviser, Father F. A. Morlion, from the credits to absolve him from responsibility for the film’s dubious morality, and he fiddled with the dialogue during the dubbing. With Morlion’s help, the ending was changed again to suggest that on the volcano Karin finds her faith, which had previously been lacking, and that God responds by granting her grace, rather than she merely appeals to God to validate an existential choice (5). Even with these changes, however, Catholic opinion remained divided, and it was to be equally divided when Europa ’51 was released two years later. Europa ’51 was not revised as drastically as Stromboli, but it seems to have been tampered with even more at various stages in the editing and release process. Dagrada has managed to track down no fewer than nine different versions of the film – or perhaps one should say nine prints which differ in various respects, since I am not convinced that the differences are always sufficient to constitute separate versions (6). Theologically, the film treads even more dangerous ground than Stromboli, since the Bergman character is portrayed as a saint, albeit one at odds with the Church as well as with society. This seems to have given Rossellini some anxiety, since he was still concerned with the reception of the film in Catholic circles and some of the changes made between versions seem, on Dagrada’s account, to have to do with how self-conscious she was of her saintly behaviour. But most of the changes made in the various versions were to do with the exposition and my impression, not having actually seen more than one of the different versions, is that Rossellini couldn’t make up his mind how to edit the film and simply issued it in what were no more than a number of different rough-cuts. One such rough-cut was so bad that Selznick put his foot down and insisted on numerous technical improvements if the film was to be releasable in the USA. After the mess of Europa ’51, it is a relief to turn to Viaggio in Italia, of which there are effectively only two versions. There is an English version, with better sound, properly post-synched dialogue, and some scenes using both English and Italian. And there is an Italian version, dubbed, without the bilingual bits. The English version is altogether better. Intriguing questions remain about what version was known to the Cahiers critics in 1955 (probably one dubbed into French) and any archivist coming across a film called Strangers or The Lonely Woman should be advised that these are, respectively, the American and the British release versions of the film, cut down by the distributors. But that’s about it. Angst/La paura presents a different set of problems. The original was shot twice, more or less shot-for-shot, with a view to making a German and an international version for dubbing into English and Italian. The film was then re-edited in 1958 by the distributors for a new Italian release under the title Non credo più all’ amore – “I no longer believe in love”. In the original(s), husband and wife are reconciled at the end. In the re-edited version, the wife does as Karin does in the original version of Stromboli; pregnant, she decides her child matters more to her than her evil husband, and prepares to leave him. The cynicism of this manoeuvre on the part of the distributors is mind-boggling. Rossellini and Bergman had just separated and Sonali Das Gupta was rumoured to be about to have a child by him. What better than to relaunch a “Rossellini” film in which the heroine is brutalised by her husband and decides to leave him? It is probably just as well that Non credo più all’ amore was no more successful commercially than the original La paura had been. Before I read this book, I thought I knew all there was to know about Rossellini’s films with Ingrid Bergman. I was wrong. Not only did I not know the answers, I did not even know the questions. 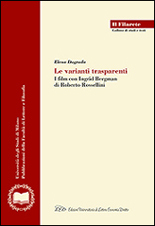 Le varianti trasparenti: I film con Ingrid Bergman di Roberto Rossellini, by Elena Dagrada, LED [Edizioni universitarie di lettere economia diritto], Milan, 2005. Tag Gallagher says 1948, in his biography of the director The Adventures of Roberto Rossellini, Da Capo, New York, 1998, p. 257. Adriano Aprà and Sarah Lutton, “Filmography”, in David Forgacs, Sarah Lutton and Geoffrey Nowell-Smith, Roberto Rossellini: Magician of the Real, BFI Publishing, London, 2000, pp. 172–195. The distinction between post-synchronisation (re-recording in the studio a version of the words spoken on set) and dubbing (adding a dialogue track with different words, or in a different language, from those originally spoken or recorded) is not always hard and fast. As a general rule, however, Italian films before the mid-1960s all had post-synched studio sound, most of which was lip-synched to dialogue spoken on set, though often with different actors. Foreign actors might speak in their own language on set and be dubbed into Italian, and Federico Fellini notoriously often didn’t bother with dialogue but got the actors to mouth something, which became the words the audience hears only in the studio. Rossellini almost always post-synchronised or at least gave the actors something to lip-synch to. There is no mattanza on the island of Stromboli, so the scene was shot on a neighbouring island where the great fish actually pass on their migration. Today, of course, such a scene would never be shot, since every film now has a disclaimer to assure the audience that no animals were harmed in the course of the filming. In Stromboli there is also a scene of a ferret killing a rabbit. This was cut in the RKO version. Dagrada, Le varianti trasparenti, p. 50 and p. 125. For an all too brief discussion of how versions are to be classified, see Geoffrey Nowell-Smith, “Filmography”, Screen, vol. 32, no. 4, Winter, 1991, pp. 452-455.